Summer movies, you need to step up your game. The summer kicked off right with a worthy follow-up to Guardians of the Galaxy, but immediately fell into the mud after that. King Arthur: Legend of the Sword was the first misstep with its horrible action “spectacle” and departures from the Arthurian legend. However, I had high hopes for this week. 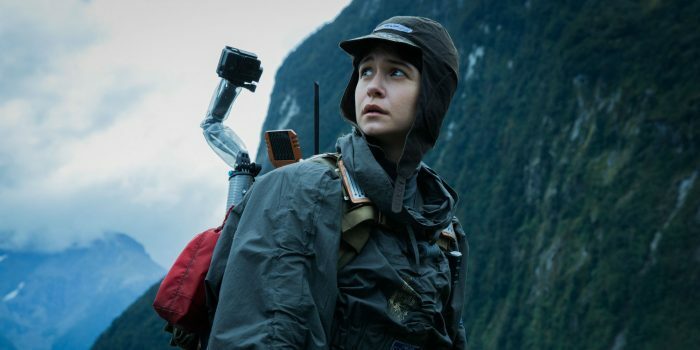 The critics had been saying for weeks that Alien: Covenant was a return to what made the Alien franchise work from the beginning: a perfect blend of science fiction and horror. Alien: Covenant is a blend of both science fiction and horror, but it is far from perfect. The film opens with a barely necessary prologue that looks like it belongs in a poorly-made Ex Machina sequel. The two characters in this milquetoast beginning are talking about art and life, and that’s about all I gathered from it. One of the artistic references is featured in the final scene of the film. Other than that, I considered the scene to be a waste of time. Also, I immediately felt like I should have dusted off my Prometheus Blu-Ray. I don’t think that should be necessary. Movies should effectively stand on their own. It’s great to have easter eggs from previous films, but I don’t think a sequel should be fully reliant on the plot of the last movie. It’s unlikely that all your audience is going to watch the original before seeing this new one. Many have said that Alien: Covenant is an improvement on Prometheus, but I’m inclined to disagree and my main basis for argument is characterization. Similarly to last week’s King Arthur film, I didn’t care much for the actors or characters in the film, and both films relied on my willingness to care about all characters. I know it’s difficult to write banter for a team of colonists who are exploring uncharted territories in the year 2104, but why did the screenwriters decide it was okay to use phrases that Mel Gibson said a few years ago. If they were trying to make the characters seem unlikable from the beginning, mission accomplished! Speaking of unlikable, Katherine Waterston is not a star, at least not yet. She maybe has the potential to be one, but her first starring roles in this film and Fantastic Beasts and Where to Find Them were far from stellar. Also, why did the makeup/hair person give her a ridiculous bowl cut? Perhaps they were trying to make her look like a new Sigourney Weaver, but no one told the screenwriters. The reason I say that is because Waterston is no Weaver. She’s weeping throughout the film, she’s really not central to the plot, and she’s boring even in action scenes. Weaver, on the other hand, is a powerful presence in the original Alien and doesn’t take guff from anyone. There’s no time to weep. There are aliens to kill. Not only could Waterston learn a few lessons from Weaver, Charlie Hunnam of King Arthur could benefit too. I’m not saying that all female characters have to be strong and composed in their respective film, but if you’re trying to turn Waterston into the next Ripley, this was a horrible misstep. The other actors are fine but not spectacular. Each of them has moments of thrilling terror, but they are completely forgettable, as are the moments of terror. Plus, they are unfortunately, few and far between. In the original Alien film, once the alien terror begins, it doesn’t let up. 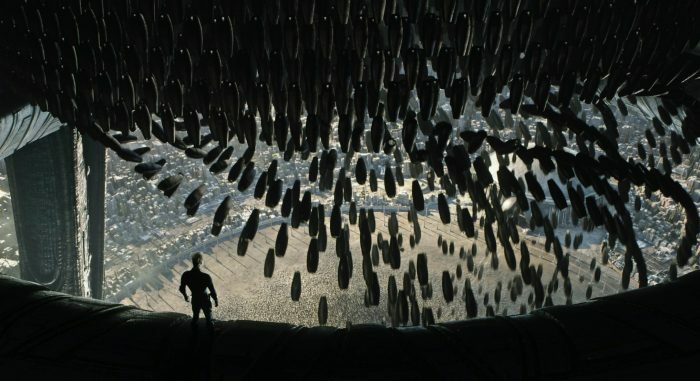 In this film, there are so many loose ends to tie up from Prometheus, so Convenant never truly gets to wear it’s main title with pride. It just as easily could have been called David: Covenant because Fassbender’s android is more important to the plot than the aliens. I understand that director Ridley Scott doesn’t want to remake his Alien film, but his need to go beyond what the franchise started with is creating too much confusion and not enough terror and thrills. I hope that the director can finally leave behind what Prometheus started and get back to the gritty realism of his original 1979 film. He clearly still has a knack for horror in space, but his scripts are not allowing him to flex those muscles as much as they should.